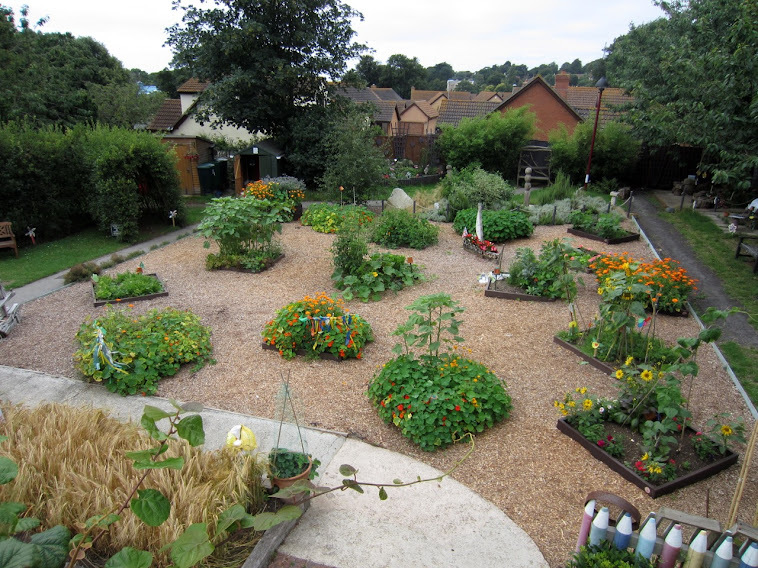 Holy Trinity Primary School Environmental Garden: At last......! In what can only be described as a 'blogflash' the very latest good news is that on tuesday Henry arrived at 8.00am with his digger and has now prepared the ground ready for the garden group to proceed with the Jurassic Garden project. The ground was first raked and we now have a large pile of 'stuff' to get rid of but most of it is of an organic nature so we can compost a lot of it down. The larger pieces will be taken to the green skip at the recycling centre as we cannot really handle them. The Jurassic Garden will not happen over night. There is still a lot of manual work to be done and of course we need funds to purchase the expensive large ferns,shrubs etc fitting for such a garden.